For some time now, the typical narrative that has followed Jay Z and Kanye West, is one of brotherly love, admiration and creative genius. However, it appears now that their friendship and working relationship is not quite the paradise we think it is. Recently, Kanye’s wife Kim Kardashian-West, was robbed at gun point in her hotel room during Paris Fashion week last month. This unfortunate turn of events has understandably been traumatic for both Kanye and Kim, and even pushed Kim to leave Keeping Up With The Kardashians. At a recent stop on his Saint Pablo tour, Kanye expressed his frustration with the fact he only received a phone call from Jay after the situation and felt he was owed more, like perhaps a home visit. Without diving into how inconvenient it would be for Jay to realistically fly to L.A. just to say “whaddup, you good?”, a source close to Jay Z has revealed that he does not actually care for Kanye all that much. The source goes on state that Jay can only handle Kanye in very small doses, and only agreed to the 2011 Watch The Throne Tour because of the exuberant amounts of money they were set to rake in. While its disappointing to find out a follow up to the collaborative album is most likely never going to happen, we understand Jay. Everyone has that work friend that is better left as a work friend. To the average Rap fan when they hear the name Joe Budden, they either think of the song “Pump It Up” that was on the soundtrack for 2 Fast 2 Furious or his widely publicized relationships via YouTube, Twitter and Instagram. 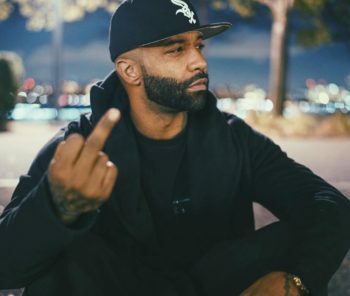 Joe Budden has been in the Rap game for nearly 15 years and released a total of 21 projects including albums, mixtapes and group projects with Slaughterhouse. Joe Budden recently released Rage and The Machine on October 21, 2016, that was entirely produced by Arab Muzik and pulled the Beyoncé move and went on tour the next day starting at BB Kings in New York City. The New Jersey native has been the top of the lyrical game in hip hop for his entire career, you will not hear Joe Budden auto-toning a record or a snap record. Joe has been in the media lately with Rap feuds with Drake and Meek Mill. Joe can be compared to your favorite rapper’s favorite rapper. Kid Cudi recently had a Twitter rant and called out a few of your favourite rappers, Drake and Kanye West. Kid Cudi made claims that Drake and Kanye didn’t write their own lyrics. Now we all know Drake is not a fan of beefing with rappers on Twitter, Meek Mill have victimized by Drake’s bars after going on a Twitter rant himself. Now, Kid Cudi has been having some problems with his mental health and checked himself into rehab to get some help shortly after his rant on Twitter. Drake responded to Cudi on the song “Two Birds, One Stone” where he also took some jabs at Pusha T. Drake talked about Cudi being crazy and high off of xannys and the fans did not like that. Some of them were “disappointed” with Drake for taking those “low” blows at Cudi. What is beef? Cudi initiated a problem and Drake retaliated. You cannot predict how someone is going to react to you disrespecting them. Was Drake wrong? Not at all. This new generation of rap fans are fickle and over sensitive. The history of beef in hip hop has not been pleasant. I feel like most people on social media just need something to complain about weekly and this week it was Drake dissing Cudi, which he wasn’t wrong for in my opinion. It’s just the nature of rap, if you don’t want to get disrespected stay in your lane and don’t provoke the next man.